Once you have all of the necessary data in one spot for the electrical safety program, you will have to start organizing the binder, or electronic file for the document itself. Let’s start with the document housekeeping, this will give you a visual checklist of all the sections that need to be addressed.. The first tasks that need to be covered are what I call the “general housekeeping” portions of the document. In order, these include the Table of Contents and List of Figures, the Scope, Reference Publications, and Definitions. It may not be glamorous, but these are some things that every safety document should have. The Table of Contents and List of Figures are easy: they’re a list at the beginning of your program that lists all of the main items and where to find them. These will usually be created last even though they’re the first thing a reader will see. You can look to any book, text, or standard for examples of the Table of Contents and List of Figures. These are important so that you can quickly find any information in your electrical safety program. 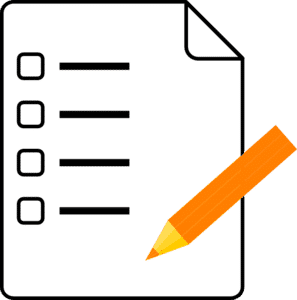 Use this section of the document to list out the sections, tables, etc that you want to include in the electrical safety program. Next, let’s talk about the Scope for your electrical safety program. The scope should include some general information about your program including; what kind of business or facility the program is for and what kinds of accidents the program is trying to prevent. It should state where the electrical safety program can be applied, who is responsible for following the electrical safety program, and what situations the electrical safety program can be used for. It can also include what measurement units are used (as a Canadian I prefer SI units). Any terminology that could be confusing (due to words having multiple meanings) can also be described here. Reference Publications include any material you may have used when designing your electrical safety program – including SparkyResource. This section describes the sources of information including internal documents, national and international standards, technical papers, etc. Definitions are the big brother to the terminology section in the scope. The definitions section of your safety program serves to clearly explain any words that might not be familiar to new employees, or even to veteran employees who have new responsibilities and have limited experience with a particular topic. The definitions section helps avoid confusing jargon by defining the exact meanings of words as related to the electrical safety program. Check out our article on the misuse of jargon before you go on to the next section, Jeff explains the importance of having definitions for the commonly used terms in your workplace. As far as the less exciting (but still important) stuff is concerned, that’s it! Next week, we’ll get started with the real meat and potatoes of your electrical safety program: The General Occupational Health and Safety System. This is part of our Electrical Safety Program Series. Planning Risk Assessment: What Makes an Electrically Safe Working Condition? If you’re reading this, you must be interested in starting your own electrical safety program for your company. Electrical safety is important. Before we dive into the nitty-gritty of procedure and policy though, we’ve got to take care of a couple of things. Before you get started designing your electrical safety program, you need as much information about your job areas as you can get. Dust off that calculator because it’s time to gather some data! What are the electrical hazards in your workplace? Consider things like uninsulated metal tools near energized equipment. What jobs require work on energized equipment? An example could be testing circuits to determine that they are working correctly. Who performs the work on energized equipment? Only someone qualified through appropriate training. How do you currently reduce risk of harm to personnel and equipment? Some ways include wearing protective clothing and establishing safe working distances from energized equipment. If you already have a safety program, is it adequate? How long has it been since it has been reviewed? How long has it been since the last incident energy study has been done on your workplace? Should your studies be updated? Who needs to be trained to work at your facility and what kind of training do they need? Ideally, everyone should have basic electrical safety training as well as job specific training. What kind of PPE is required for which types of jobs? Some basic repairs on non-critical equipment might only require insulated tools and insulated gloves, while working near an arc flash hazard might require an arc-protection suit. Your electrical safety program should be able to answer all of these questions. Asking these questions before you begin creating your new electrical safety program will help you figure out which current safety practices you can keep. These questions also help to highlight problem areas that need to be looked at, giving you a good idea of what you should focus on changing. You aren’t limited to just these questions though: you should also look at anything specific to your workplace that isn’t listed above. Once you’ve gathered all possible information on the current safety practices of your workplace, you can get started with the creation of your new electrical safety program. For the next set of sections you’ll need when putting together an electrical safety program, check out our article next week on Documentation Housekeeping. Understanding what you will be primarily using the model for is critical. In some cases the thought is to develop the model as part of the arc flash study and comply with NFPA70E or CSAZ462. This is not a bad idea, even though you are not in compliance – they are standards not codes. When you are completing a study for incident energy purposes, the model will be set up to ensure that you are getting worse case scenario energies. The scope will be different if you are sizing equipment for a addition to your facility. Flickr – No matter if your project is big or small, understanding the scope will make the process smoother. In Power System Studies – The Why and How, I discussed all the reasons why you may need a new or updated power system study at your facility and in Power System Studies – The Critical Four we talked about the four studies I want to see every facilty address. However, you may have constraints either time or money that don’t all you to have all for completed at the same time, or you may have parts of you plant completed and others that need to be updated. The first step before starting any data gathering is to determine what you need completed. For example, if you decide that you want to have an incident energy study completed for your facility, but don’t have any power quality concerns, you will only need to gather data for the short circuit, protection coordination and operating scenarios for the incident energy study. This has been detailed here. Determining the required project schedule and deadline will detemrine the resources required to execute the project. Depending on the budget available, this timeline can be moved by adding or removing resources. This is also the time to corrdinate facility outages with other planning groups. It is always better to know when an outage is planned and use the same time than adding another outage to the system. This is where you plant your data collection effort. Check out the link to learn more about this. Does your existing drawings have a naming system that can be used by the model, does your company have a standard? Is the standard documented? Knowing this remove confusion when discussing system components for the different system configurations, etc. Who will be interested in the results of the study? Can you get them all in the same room? How is the best way to present the report. What you will be trying to avoid is a binder getting dusty on a shelf in an engineers office. I talked briefly why most of the groups in your facility should be interested, and how they can leverage a good study and make their business area more reliable. When the sower system study scope is complete it is time to get started deciding how to execute the project. There are three different ways that this can be done, and next week we discuss the pros/cons of each, and some tips on how to use them successfully. Electricity is a powerful and dangerous tool used by people all over the world. It is very important for your workplace to have an electrical safety program to help lower the risk when working around energized equipment. A good electrical safety program is much more than a list of rules to follow. A good electrical safety program will minimize the risks involved with working on energized equipment. This includes reducing risks of injury to personnel, such as you and your colleagues. It also helps reduce the risk of breaking equipment when it needs to be used or maintained, saving you valuable time and money! Something so valuable should be a monumental task, right? Below, I’ve laid down a list of steps that you can include when building your own Electrical Safety Program, tailored to the specific needs of your facility or business. These steps have been grouped into “sections” that most safety program documents should have. This list is not exhaustive, there is always be more that you can do to keep your workplace safe. This is a simple guide to get you started. If you think of something important that hasn’t been mentioned in this series let us know!